Regen describes itself as “a global leader in products for autologous regenerative medicine based on freshly prepared platelet rich plasma” whereas Estar considers itself more of a “world leader in Platelet-Rich Plasma (PRP) and autologous cell therapy technologies“: it would seem inevitable that there would be some bad blood between them. If the patent had been valid, it would have been infringed. One particularly interesting part of the decision is the Claimant’s successful argument on infringement by equivalents: for the first time the UK Patents Court considered multiple variations from the language of the claims, and application to numerical claim features, in making a finding of infringement by equivalents. The Court’s finding on equivalents has already been the subject of a helpful and thorough discussion by Rose Hughes on the IpKat. This article will focus on the consequences of the Regen decision for the drafting and litigating of patents. Some background information is required: The patent in suit was for a method of separating red blood cells from blood plasma and platelets in a centrifuge, to allow the preparation of a “platelet-rich-plasma”, or PRP for short. 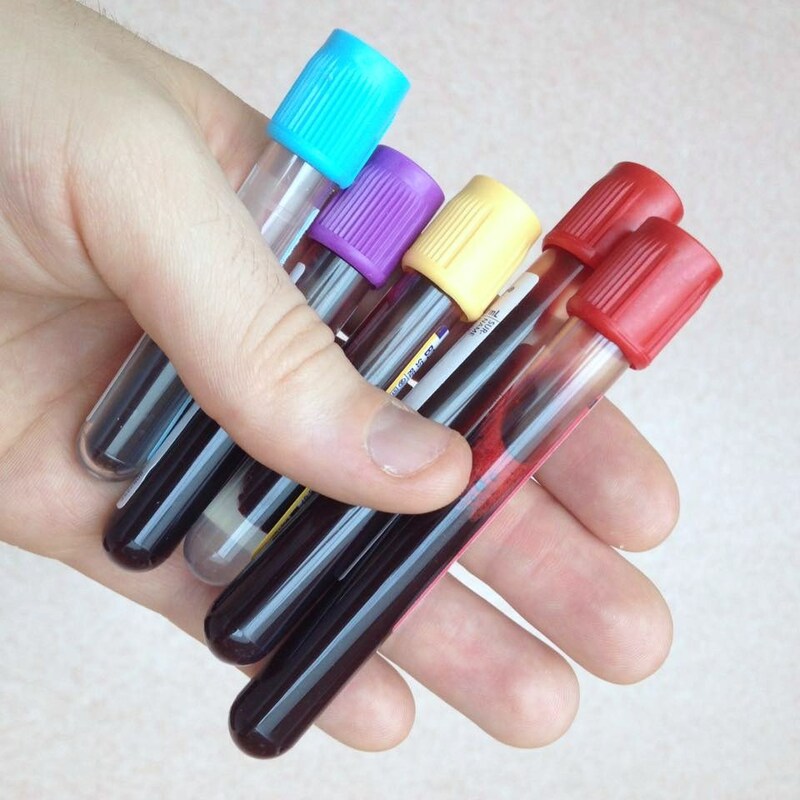 PRP will be ‘autologous’ where it is made from a patient’s blood and then used to treat that same patient – this minimises the chances of unwanted immune responses and other contamination issues. The effects of the PRP are not limited to the physical coagulation of platelets in the healing of a wound, as might be familiar from biology lessons. The platelets in the blood include a huge number of important growth factors that support the body’s ability to repair itself, including fan favourites such as VEGF, which has an important role in angiogenesis (making new blood vessels). 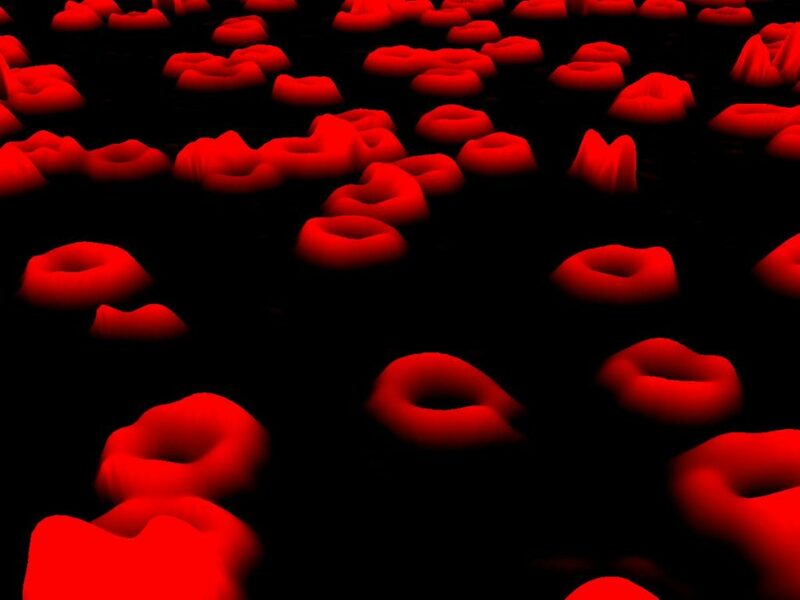 Autologous PRP can be used in many medical applications: the application of a platelet rich plasma has therapeutic potential in healing musculoskeletal injuries and in cosmetic surgery, for example. The method of creating autologous PRP disclosed by the patent involved centrifugation with a thixotropic gel. A thixotropic gel is a handy tool when you’re using a centrifuge, as the gel transitions from a solid to a semi liquid under the motion of the centrifuge. This means that if you use the right density of gel, then when the centrifuge gets up to speed all the components in the mixture will separate by density, the gel forming a barrier across the tube between two layers of different density. Then, as the centrifuge slows down, the thixotropic gel returns to a solid, preventing the separated layers from mixing again. (The background music may give you the impression you are waiting to be put through on a conference call; for the full experience feel free to say your name out loud and press the hash key on your computer). An important aspect of the Regen decision is its treatment of multiple variations within a single patent claim when considering infringement by equivalents. The infringement differed from the patent’s claims in two separate ways: by the molar concentration of sodium citrate preservative in the collection/centrifuge tube, and the composition of the thixotropic gel used to separate off the red blood cells. Taking the two differences in sum, I find that the inventive concept of claim 1 is exploited in substantially the same way to achieve substantially the same result if the process uses a non-polymeric thixotropic gel of the type used by the Defendants and the sodium citrate anticoagulant has a molarity of 0.136 instead of 0.10. While it is logical to consider the expert evidence in relation to each alleged variation independently, the Courts are likely to be very careful about over-reaching when considering them together. Imagine a possible claim with ten integers: only one is relevant to the “inventive concept” found by the Court: are the rest simply to be disregarded? There is a real danger for the unwary litigant in our current pivot to a system where infringement relies on the ‘inventive concept’: A Judge’s opinion as to the inventive concept of an invention is liable to be particularly influenced by the prior art in the case before them. I would identify the inventive concept of claim 1 (still including the use limitation) as the preparation of PRP for solely therapeutic use by employing a thixotropic gel wherein (a) there is only one centrifugation and (b) after centrifugation about half the supernatant is removed and the platelets are then re-suspended in the enriched plasma. The danger in the post-Actavis approach is that the inventive concept may dominate the literal meaning of the claims. It is therefore incumbent on parties in litigation to make good in their expert evidence their case on the inventive concept. This can leave infringers in the bizarre position of having to argue that aspects of the patent form part of the inventive concept, such that variations to those elements would cease to be immaterial, thereby minimising claim scope. From another perspective, if an infringer argues that the patent is in all respects obvious, but fails, and a single integer is held to embody the inventive concept then they may be more likely to fall within the scope of protection than if they had agreed the patent was inventive, but sought to pin the inventive concept to an aspect of the claim which they did not implement. While the ‘opening of the floodgates’ that many feared would follow Actavis has not (yet) come to pass, the judgment in Regen will inevitably give some patentees ideas about how they might present the inventive concept of their patent to improve its scope of protection. Numerical Limits: Exempt from equivalents? The Defendants’ PRP kit sat comfortably outside of the claimed concentration of sodium citrate under a pre-Actavis interpretation. Arguably one of the most radical differences under the new approach to equivalents is therefore in relation to claim limits involving numerals. Judges had the ability under pre-Actavis purposive construction to stretch the meaning of language to suit the conclusion they felt was just and fair. That was never possible with numerical requirements (consider use of the word “vertically” in Catnic and imagine if that had read “at 90.0°” instead). The Courts have tended to treat numerical requirements with a mathematical rigour. While the Court of Appeal held in Smith & Nephew v Convatec that “the approach to be adopted to the interpretation of claims containing a numerical range is no different from that to be adopted in relation to any other claim“, it also held that “the meaning and scope of a numerical range in a patent claim must be ascertained in light of the common general knowledge“. With regards that common general knowledge, it would be fair to say that the skilled person is a dab hand with a ruler, carries a micrometer in their back pocket and is likely no stranger to a goniometer, a katharometer, or even an anemometer. In essence: there are few fields where the skilled person would be so non-technical as to treat numerical values in claims as being mere guidelines. The key consequence of this has been that the Courts have not been willing to dismiss measurements in patent claims, or to read ranges any wider than their limits could be rounded. This is perhaps appropriate in many cases, where numerical claim requirements are the last refuge in claim drafting: sometimes arbitrary combinations can be used to fence patents off from the prior art. In such circumstances a Judge would not have to feel too disheartened about pinning a patentee to the exact numerical requirements of its claim. In contrast, there will be situations where a patentee has included numerical features in its claim for other reasons, perhaps to prevent allegations of insufficiency. Numerical limits in those situations can preclude the coverage of ineffective formulations or method variations that would rob an invention of its effect and render a patent covering them insufficient. It will often be preferable for a patentee to couch problematic claim requirements in functional language, e.g. “mixed such that the solution has suitable viscosity for…” rather than numerical “the solution used has a viscosity of 10,000 cps“, however that may meet resistance from the patent office and may itself lead to clarity objections. There are therefore certain situations in which there is a good argument for some judicial flexibility in relation to numerical claim features: it will not always be practical for a patentee to test all variations of all its claim integers, and it may be that altering unclaimed aspects of a process (e.g. it’s temperature or run-time) may change other variables in the process such as to bring a possible infringement outside of the claims of a patent. Where such alterations appear to be a knowing work-around for a potential infringer, the principle of equivalents can now allow a Judge to step outside the numerical limits imposed by a patent claim. In Regen v Estar the Judge found that the principle of equivalents can extend to numerical claims in general. If the skilled person would consider figures outside a claimed range to be only an immaterial variant then the scope of protection of the patent can extend outside the numbers or ranges in the claims. In addition, the fact that a patentee had included a numerical range was not considered to be in itself a reason why the skilled person would consider the patentee to have intended “strict compliance” with the claim’s features. If that were considered to be the case then the extension of the scope of protection would be precluded even if the skilled person would otherwise think the implementation to be an immaterial variant. Under the post-Actavis law of claim scope a numerical limit may therefore be completely irrelevant to the scope of protection of a patent. Its effect will depend entirely on whether it plays a role in the inventive concept. Infringement can be found even when “the language of the claim does not on any sensible reading cover the variant“. In Regen the relevant claim feature was to a 0.1 molar concentration of sodium citrate solution, whereas the Defendant used 01.36 molar solution. The Judge had determined that the Inventive Concept (the “clever bit”) related to the centrifugation process, and the evidence established that the variation in concentration of sodium citrate was immaterial to the skilled person. Further, the Judge did not consider that the skilled person reading the patent would consider that the patentee intended strict compliance with the 0.1 molar concentration. The question remains: in what circumstances will a patentee be taken to have intended strict compliance with the claims? It would seem that only an unequivocal statement of intent to exclude from a claim may satisfy the Supreme Court’s third Actavis question. Quite why a patentee would include such a statement remains unclear, given that equivalents appear not to be able to deprive a patent of novelty. What is clear is that the approach taken by the Court post-Actavis is patentee-friendly. The fact that a patentee knew, or at least should have known, of unclaimed variations on its invention at the date of filing will not be fatal. Other interesting aspects in the decision arose in the context of validity, though detailed discussion of these are perhaps best left for another article in the coming weeks. Prior Use: Sales of Regen’s ‘Vacutainer’ kit were held to constitute a prior use of the invention in light of contemporaneous documentary disclosures, supported by witness evidence from the companies supplied. Witnesses may have felt that part of the disclosure was in confidence, but not the inventive part: invalidating disclosure. Combining Documentary Disclosures: Regen also disclosed aspects of its invention on multiple web pages, which taken together disclosed all the aspects of the claim 1 process. Regen accepted that the skilled team would look at all those pages in combination. Despite that fact, the Judge held the claim 1 method not to be obvious over the website as the skilled person wouldn’t combine the claim features. See the helpful summary of the law at  – . Territoriality of CGK: UK or Worldwide? Hacon HHJ takes the precaution of considering it both ways. File wrapper estoppel: is still very heavily resisted, even where there are indications a claim would not have been granted without the integers later considered by the Court not to form part of the inventive concept. Composition of the skilled team: Potentially different for sufficiency and inventive step, per Schlumberger. Admissibility of evidence after trial: Still very unlikely, following the Supreme Court’s judgment on abuse of process in Warner-Lambert. The Judgment includes a helpful summary of the relevant law at  to .